Pioneers in the industry, we offer mobile crushing plant, mobile rock crushing plant, used stone crushing plant, crushing plant, portable crushing plant and cone crushing plant from India. 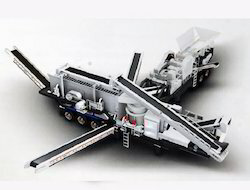 Our offered Mobile Crushing Plant is assembled using modern machines, equipment, and tools. This is used reduce the size, or change the form, of waste materials so they can be more easily disposed of or recycled. 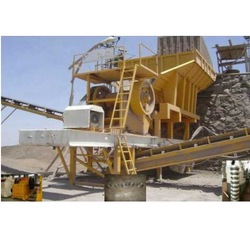 Mobile Rock Crushing Plant is assembled using modern machines, equipment, and tools. This is used reduce the size, or change the form, of waste materials so they can be more easily disposed of or recycled. 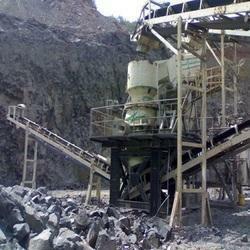 We are the leading and prominent Manufacturer, Exporter and Importer of Used Stone Crushing Plant. 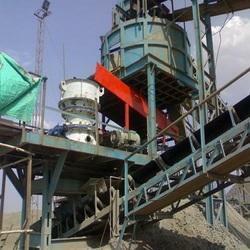 We are the leading and prominent Manufacturer, Importer, and Exporter of Crushing Plant. Manufacturer Exporter of Crushing Plant Mobile Crushing Plant. Our product range also comprises of Magnetic Separator, Vibratory Equipments and Pneumatic Vibrators. Cone Crushing plant can be widely used for stone production line in hydroelectric, highway and other industries. 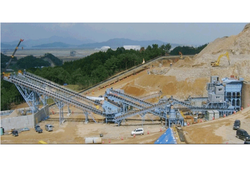 Looking for Crushing Plant ?